Post & Picket has been working with landscape architects and homeowners on Chicago’s North Shore for nearly 20 years to craft unique and attractive additions to the landscape. Specializing in custom fences and other garden structures, we have a reputation for superior craftsmanship as well as unparalleled service. Arteaga Fence specializes in Installing Wood, PVC, Aluminum, Chain Link Fencing, Decks, and Paver Patios. We offer over 75 different styles of fences to homeowners and homebuilders. Fence solutions for privacy, boundary, and security, we have the right fence for any need. 100 percent custom-made decks and patios from different types of woods and bricks to suit any need and budget. Your Aurora, IL fence installation and repair professional will work with you to create your ideal fence. Fence installation or replacement. 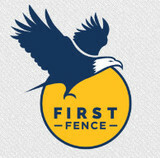 If you are in the market for a brand new fence, a contractor’s services will include walking you through various fence styles and materials, determining a suitable height, ensuring that all fence designs and plans are compliant with Illinois building codes, and that the fencing meets both your stylistic and security needs as the homeowner. Fences and gates must complement the grade of your property as well as the type of soil you have, so the contractor should always plan around these considerations. Additionally, if you don’t know exactly where your property lines are, he or she can commission a survey for you. 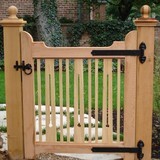 Find a fence contractor in Aurora, IL on Houzz. 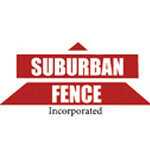 Narrow your search in the Professionals section of the website to Aurora, IL fence contractors. You can also look through Aurora, IL photos to find examples of fencing and gates that you like, then contact the professional who worked on them.